NAZARENE COMPASSIONATE MINISTRIES (NCM) walks alongside local churches in their efforts to meet the needs of children, families, and communities. Through your partnership, local congregations are changing the world. Have you ever wondered if your giving to Nazarene Compassionate Ministries is making a tangible difference in the world? NCM is committed to transparency and clarity. Part of that transparency includes sharing key stories and figures from the past year. On January 2, 2019, a team of seven pastors and lay members from the Oklahoma First Church of the Nazarene packed up their cars and drove south to minister and serve on the border between the United States and Mexico. 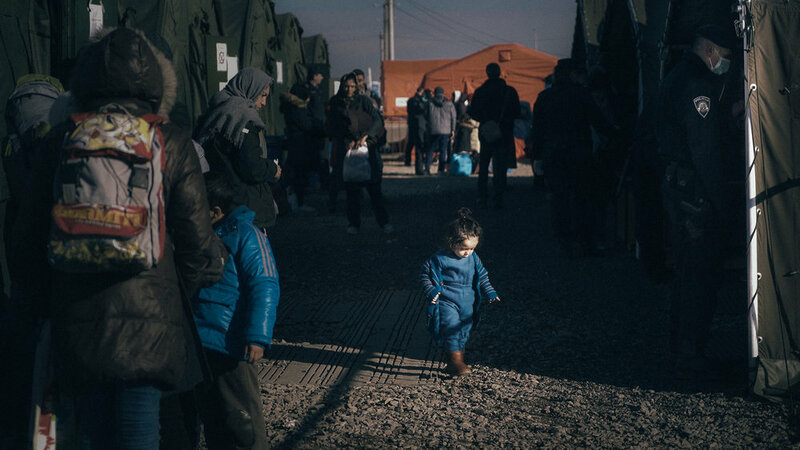 Syrian refugee children have been exposed to trauma through violent conflict, persecution, and forced displacement, which disrupts the nurturing, consistent environments that children need for healthy and holistic development. The Syrian Transitional Education Program (STEP) is a Nazarene church-run compassionate outreach to Syrian refugee children living in Lebanon which works to meet their educational and emotional needs. Are you attending the M19 conference? We'd love to meet you! Stop by our booth, located in the Global Mission area, and tell us how your church is living out the call to be compassionate, and how we can better support those efforts. We're also excited to share what God is doing in compassionate ministries around the world and how you can get involved. On a Friday morning, a group of women sits around a circular table, listening to a presentation on nutrition. They chat about eating habits that are both nutritious and economical. Later, they will make tuna salad together in a new commercial kitchen. The women, most of whom are without homes, are there for True Light Family Resource Center’s day shelter, a place to learn, to rest, and to be. On the foothills of the Himalayas, overlooking a valley dotted with rice fields and small-scale farms, sits a newly constructed earthquake-resistant classroom where 60 children are silently engrossed in their books. Sitting on the floor in small groups scattered around the large room, they complete their homework, receive tutorials, play games, and eat together. All of these children are from families affected by the devastating 2015 earthquake that struck near the capital city of Kathmandu. Let compassion become part of your story.